Zedoary (Curcuma zedoaria, known as kacoramu in Telugu) is the name for a perennial herb and member of the genus Curcuma Linn., family Zingiberaceae. It is also known as White Turmeric. The plant is native to India and Indonesia. 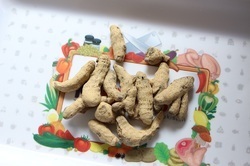 Botanical Name : Curcuma zedoariaCommon Name : White TurmericThe rhizome produces a light yellow coloring matter like turmeric. - Botanical Name : Curcuma Zerumbet Roxb. - Common Name : Long Zedoary. - Hindi Name : Kachura/Kachoor / Narkachoor. Kentjoer manufactured in a world class facility with food safety norms. 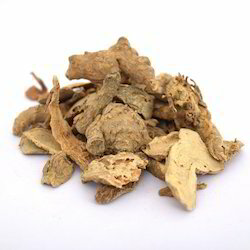 Zedoary, also known as white turmeric, is a rhizome with a thin brown skin and a bright orange, hard interior. Its smell is similar to that of turmeric and mango. The perennial herb has a warm-spicy, woody and camphoraceous cineolic odor and bears yellow shiny flowers, with red and green bracts.